Millipedes are much like insects in some respects. Specifically, they have a very insect-like head. This head is provided with a pair of antennae. It is also provided with insect-like mouthparts, notably with a pair of “jaws” or mandibles and with a plate-like lower lip, which goes by the unpronounceable name of gnathochilarium. Millipedes are similar to centipedes, but have two pairs of legs per body segment. They can come in different sizes and colors. 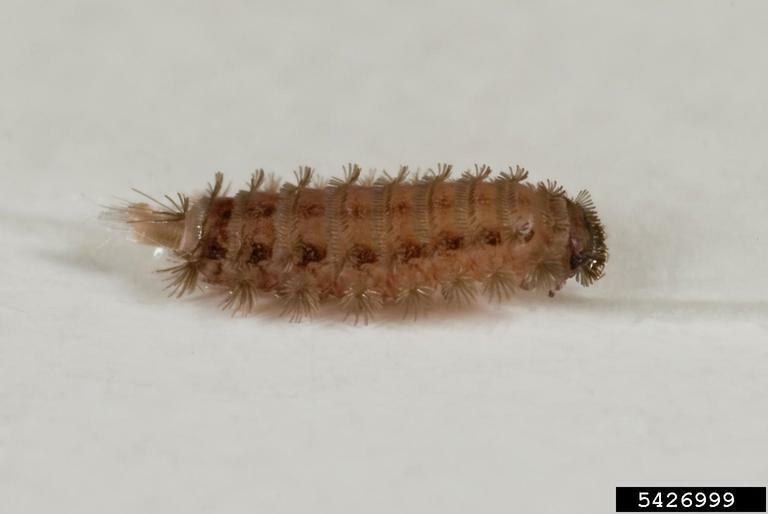 One in particular, the Duff Millipede, is often mistaken for the larvae of Dermestid Beetles or carpet beetles. Millipedes are harmless; they do not feed upon building structures or furnishings and they can not bite or sting. 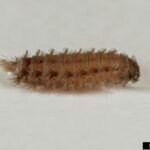 Millipedes can not reproduce indoors. All millipedes found inside wandered in by mistake.